Difference between revisions of "Tubbs Rope Walk"
based on Burrito Justice's blog post, which in turn is partly based on Wade Roush's earlier work. 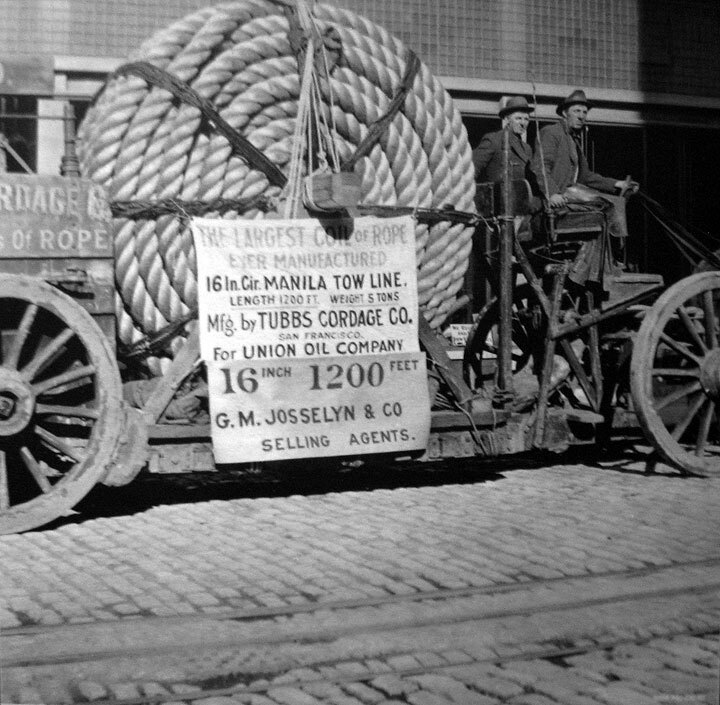 These massive ropes were made at the Tubbs Cordage Company, which is visible as a small diagonal line on the first three historic maps here, south of Potrero Hill in today's Dogpatch neighborhood, along the shoreline. Early image of the Tubbs rope walk, a 1,000-foot long building in which workers walked back and forth to assemble thick ropes for sailing ships in the 19th century. 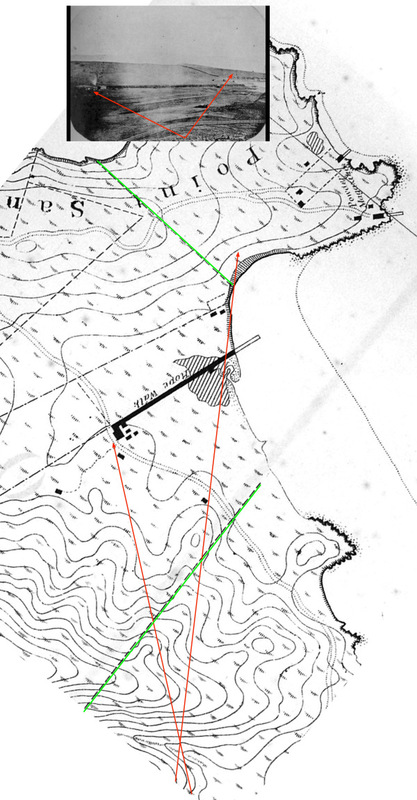 Zooming in on the 1859 Coast Survey map (which was actually surveyed in 1857, the same time as the photo), you can see some of the same buildings, as well as the fences (marked in green on the map). The red is my estimate of the field of view — I’m guessing the photographer was standing around 25th and Connecticut, looking to the northeast. The rise is the lost Irish Hill (you can see the east bay hills in the very far distance). 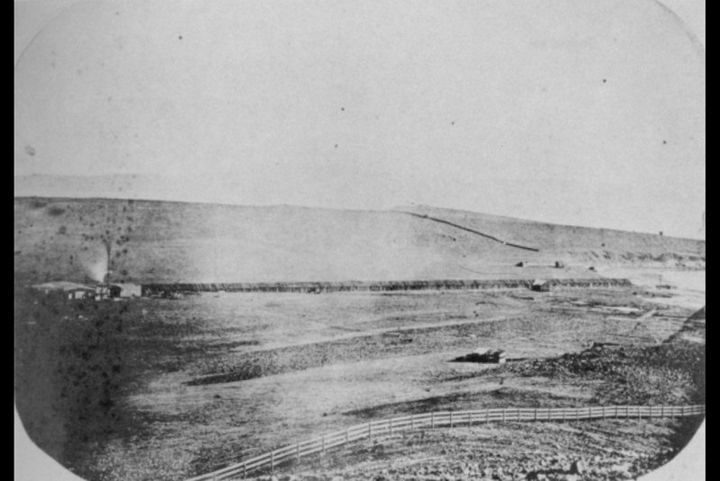 The powder magazine would be just to the right of this photo — in fact, that small building you see on the crest of the hill may be part of that complex. 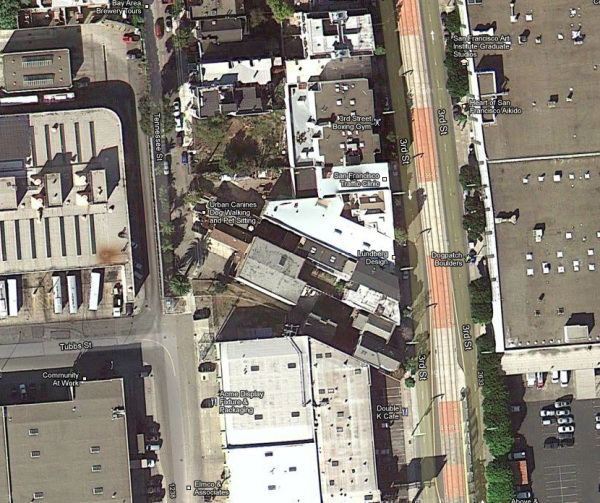 Aerial shot in 2012 of the strangely angled buildings between Third and Tennessee in Dogpatch. 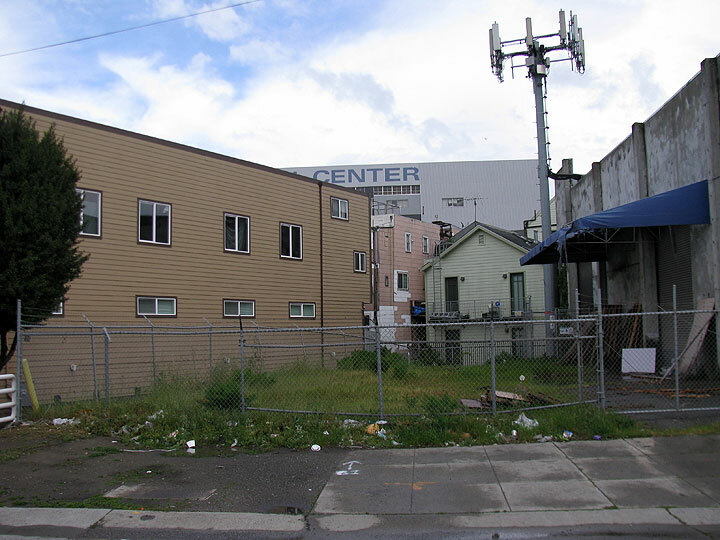 These particular buildings were once adjacent to the Tubbs Cordage Company’s “rope walk” factory that was built in 1856 and lasted until 1963. 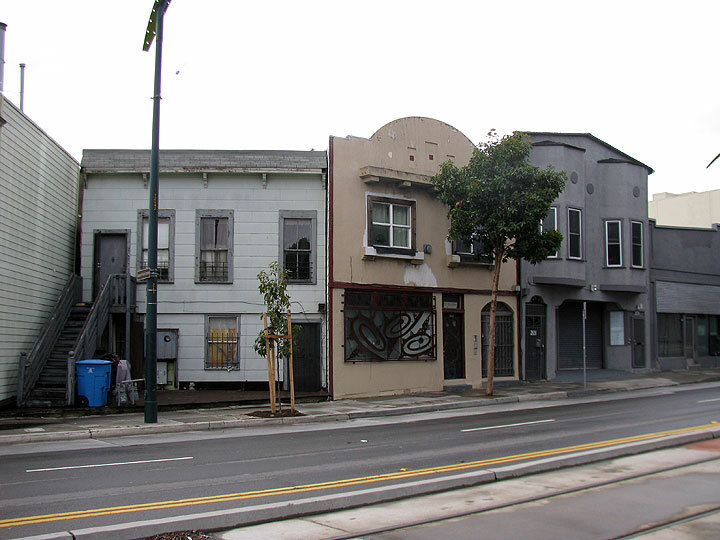 Today, the Hells Angels’ clubhouse is behind these Third Street buildings on Tennessee. 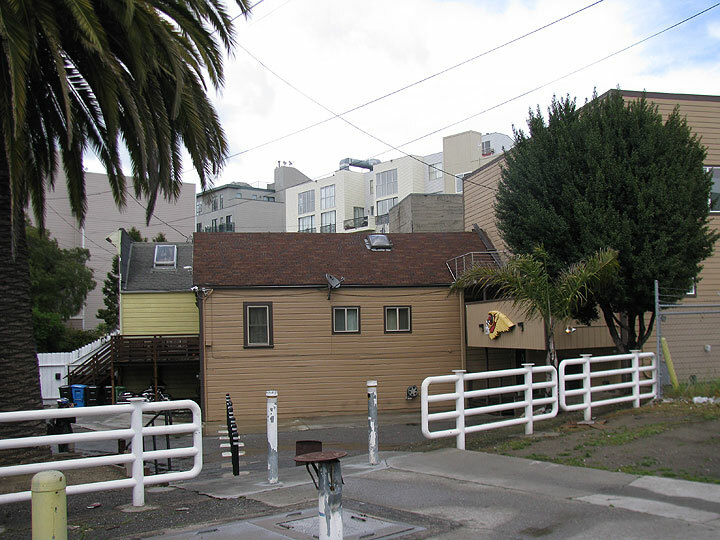 View from Tennessee Street of diagonal structures still standing in 2014 along the edge of what was once the Tubb's Rope Walk. 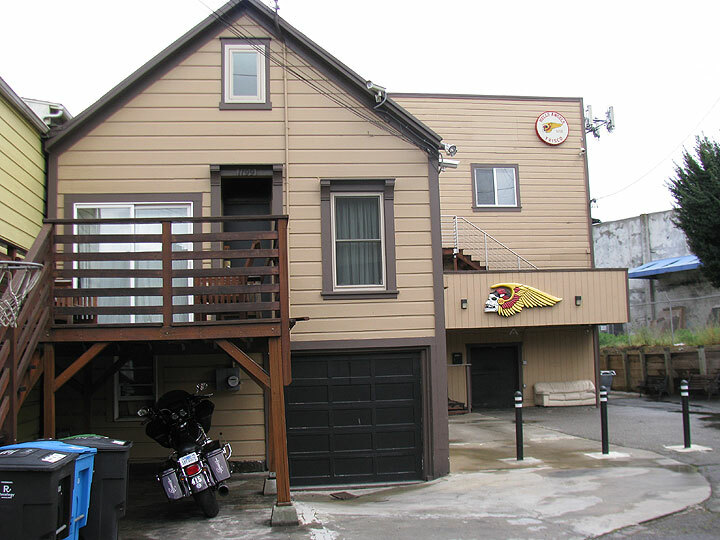 Hell's Angels clubhouse on Tennessee Street, sitting in the diagonal space once adjacent to the Tubb's Rope Walk. 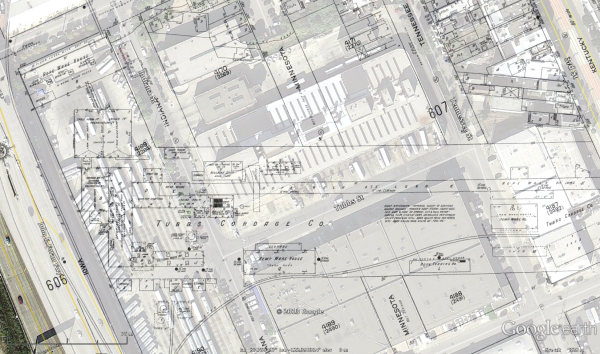 Superimposed 1915 Sanborn Map of Tubb's Cordage facilities over aerial photo. Here are the 1905 Sanborns, stitched and rotated to show the full length of the plant. IANARM, but apparently you needed an extremely long “rope walk” to make rope — at 1400′, it dodged under Kentucky/3rd Street and jutted into the Bay on piers. 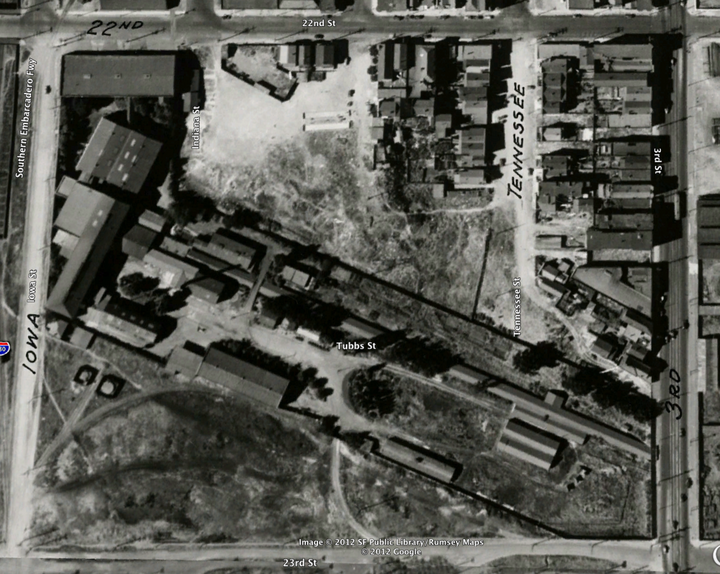 1938 aerial photo of the Tubbs Cordage works.